As Puerto Rico continues to struggle to recovery from Hurricane Maria, the worst natural disaster to ever occur in the region, some Puerto Rican professionals in the Philadelphia area have stepped up to help. With a total population of over 121,000 Puerto Ricans, Philadelphia has been one of the central hubs of support for the island in the aftermath of the hurricane — and Karla Cabrera and Heidi Rodriguez were among those who decided to take action. Both Puerto Ricans currently living in Philadelphia, Rodriguez and Cabrera organized a supply delivery with a special purpose beyond even the basic hurricane recovery efforts with the support of their employer, American Airlines, and the backing of their newly-opened Philadelphia chapter of the Latin Diversity Network, an employee resource group within the company which Rodriguez and Cabrera helped start in Dec. 2017. “It was the minute it happened, all these groups started to say okay, what are we going to do? How are we going to help? And to this day it’s a subject that is still very much alive, which is a good thing because they still need help,” Cabrera said, adding that the support of employees and members of the company who participated, regardless of their background, was important in moving the relief efforts ahead. 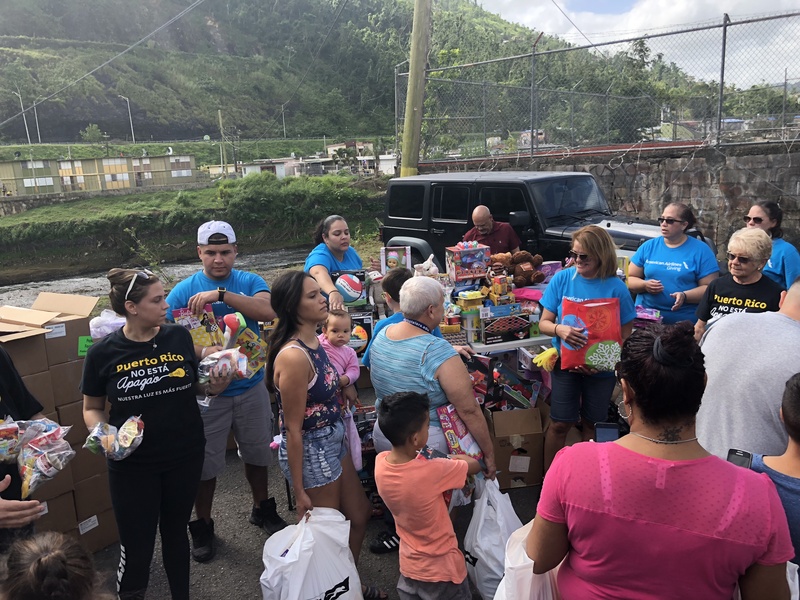 Cabrera said that after the first two or three meetings, the Philadelphia Latin Diversity Network chapter had organized a trip to the town of Comerío, Puerto Rico, in order to bring water, generators, and other supplies, along with toys for the children for El Día de los Reyes, Jan. 6 — the last day of Christmas that is particularly special in Puerto Rican culture, Cabrera said, because it is on that date that the gift-giving ritual of the Christmas season is celebrated on the island. Philadelphia was American Airlines’ main hub in the Northeast through which supplies were sent to the island in the immediate aftermath of Hurricane Maria, due to having some of the planes with the widest carrier capacity, said Victoria Lupica, senior manager of corporate communications at American Airlines PHL, adding that the company allowed all employees from Puerto Rico or those who had any family living there to ship up to a certain amount of goods free of charge through the airline’s services. According to Lupica, the company as a whole sent over 2 million nonperishable goods to San Juan almost immediately after the natural disaster. 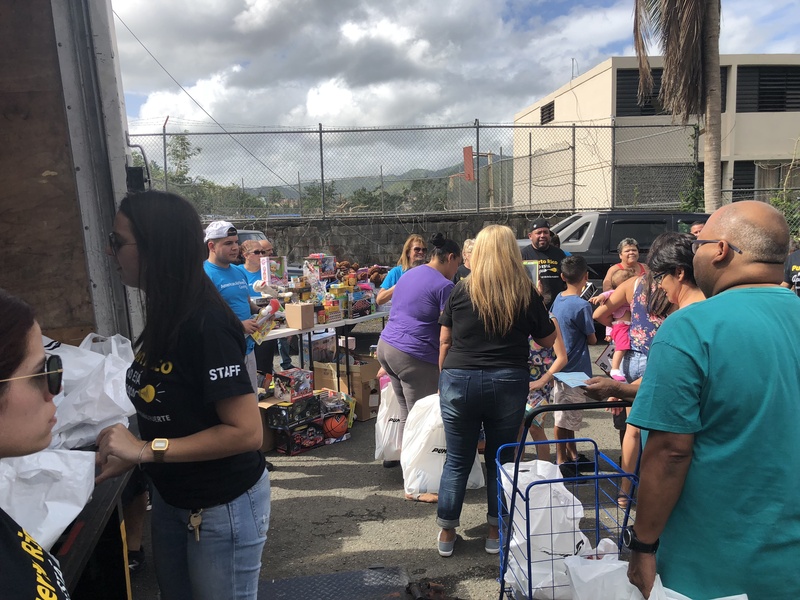 Cabrera said the Latin Diversity Network representatives worked with the nonprofit, Puerto Rico No Está Apaga’o, headed by Puerto Rican radio personality Molusco, to coordinate the trip to Comerío. For Cabrera and Heidi Rodriguez, the impact of seeing the island’s devastation was powerful. Both have family on the island, but they noted that hearing or reading about the devastation does not compare to seeing it firsthand. “I was speechless and I started to cry, because everything looks like the whole island was wiped out,” said Rodriguez of first landing in San Juan and seeing the aftermath of the hurricane as the group from the Latin Diversity Network arrived on the ground. Cabrera said that the kind of collaboration they’re working to forge via the airline’s Latin Diversity Network chapter is focused on mobilizing professionals of all backgrounds to take action for causes that are significant to diverse communities. “You can have all kinds of people from all kinds of different places, but if you don’t include them and get that moving you’re not doing much,” said Cabrera. “Not only we have this big Hispanic group that works with us, but we want to share that, [and] include others that are not part of our culture to get to that point where we can understand each other, and learn from each other,” she added. The two said that their next steps with the chapter will be running a regular series of Spanish lessons at Philadelphia International Airport once a month, as well as planning a follow-up trip to Puerto Rico to continue supporting the island in its recovery efforts.